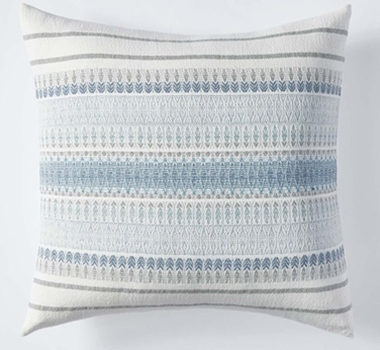 Inspired by the colors and textures of the place where land and water meet, our pillow is woven with detailed dobby stripes in mellow, sun-washed hues. The soft, substantial organic cotton cover reverses to smooth percale with an envelope closure. Removable down insert sold separately.